It seems even the most calcified regime can be massively disrupted by a series of well-timed protests. 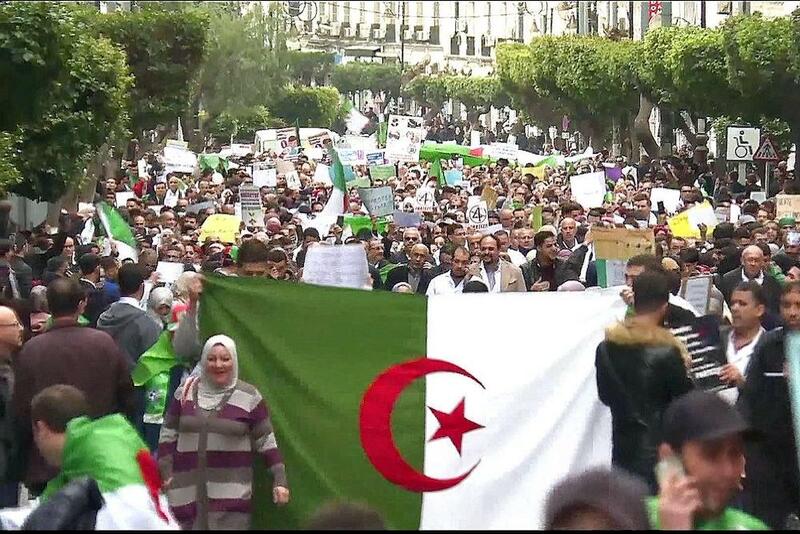 Algeria, the somewhat stable petro-state of Northern Africa led for the past 20 years by old President Bouteflika, has erupted in mass street protests against that same President Bouteflika attempting a fifth Presidential term. This is an interesting event for two interconnected reasons – Algeria’s surprising political continuity for the past 50 years, and President Bouteflika himself. First, Algeria has been ruled by the same cabal of veterans of the Algerian War of Independence since the 1960s. These now very old men, who tightly control the political and economic nature of Algeria, have proven remarkably capable of surviving threats to the regime. They first survived a mass Wahabi insurgency in the 1990s, which cost the lives of over 200,000 Algerians and which President Bouteflika had gained immense prestige for quelling upon taking power in 1999. They then also survived the Arab Spring revolts, which toppled or massively disrupted many of their peers, with the most successful example of a successful democratic revolution, Tunisia, being a direct neighbor. The quintessentially closed system, with almost no fresh blood entering the political system and only veterans of a war over 50 years ago ruling the country, has managed to stay in power at its own discretion. Then mass protests broke out once President Bouteflika, an already positively ancient man though only 82, said he was running for a fifth presidential term. The floodgates of unrest had been opened. This leads naturally into the second point as to why Algeria is so interesting; namely, the special reasons as to why Bouteflika asking for a third term is so enraging. The reasons, largely beyond the poor economic conditions, a highly authoritarian system with few civil liberties, and massive corruption, are that President Bouteflika is a sick man. So sick he has not given a public speech and rarely appears in public. After a stroke in 2013, President Bouteflika was paralyzed, and ever since has been largely a figurehead while the president’s brother and the army actually run the country. The macabre joke of an old, ailing man, paralyzed and unable to carry out his duties as head of state, running for a fifth presidential term is a scene so pathetic as to elicit tears, not mass revolutionary action. If from afar it elicits macabre jokes, and references to another living corpse ruling as an iron despot, Leonid Brezhnev, from up close it has sparked protests of such ferocity that the old man of Algeria backed down. The once seemingly unconquerable regime of Algeria was finally made to blink. But only partly. Bouteflika has said he will remain in power until the new election moves him out for his successor, and the military cabal seems to have remained fully in power. An agreeable candidate will likely be found from the ruling establishment, some minor reforms, and then back to business as usual… unless that other thing happens. If the protests persist and persist to such an extent that the ruling elites cannot do anything to fight the protestors, then you might get a true revolution. Algeria might join Tunisia in becoming a democracy, however fraught with problems in dire need of solving. A fresh era of freedom and popular government might come to a country which has long labored under the tyranny of despotic elites free from any check. Sadly, all of this is up for the protesters and opposition figures leading the streets to decide. If they can continue the momentum, then true change can be realized. If they fail, the regime shall remain in place but be only slightly changed for the better.